One of the last things Governor Pat Quinn did before he left office was to sign off on an amendment that created a new state eavesdropping law. It took effect December 30, putting an end to a period in which Illinois was the wild west of surreptitious recording, with no state eavesdropping restrictions at all. That was a major change, because up until last March, Illinois had had one of the most restrictive antieavesdropping laws in the country: with some exceptions for law enforcement, any audio recording of conversations—including the recording of police arrests—was illegal unless everyone whose voice would be heard had given their permission. Under that law, artist Chris Drew was charged with a felony back in 2009 for recording his arrest while attempting to challenge a different law—the one that prevents artists from selling their work on the street. Drew had a tape recorder in his pocket when Chicago police took him into custody for peddling art downtown without the proper permit, a misdemeanor charge that was dropped as prosecutors pursued the felony conviction. Drew died in 2012 while his case was still being litigated. But last year, ruling on a similar case, the Illinois Supreme Court declared the old eavesdropping law unconstitutional on First Amendment grounds, finding that it had improperly criminalized the recording of conversations that can't be deemed private. 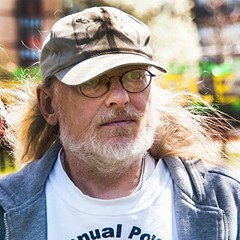 At the time, filmmaker Nancy Bechtol, who'd just completed a documentary about Drew and his court fight, hailed the ruling as a victory for the artist. The new law? Not so much, since it arrived with some surprising baggage. Like the way it expands the cops' ability to surreptitiously record citizens during the course of an investigation. Instead of having to go to a judge for a warrant, in many cases all the police now need is the permission of a state's attorney. 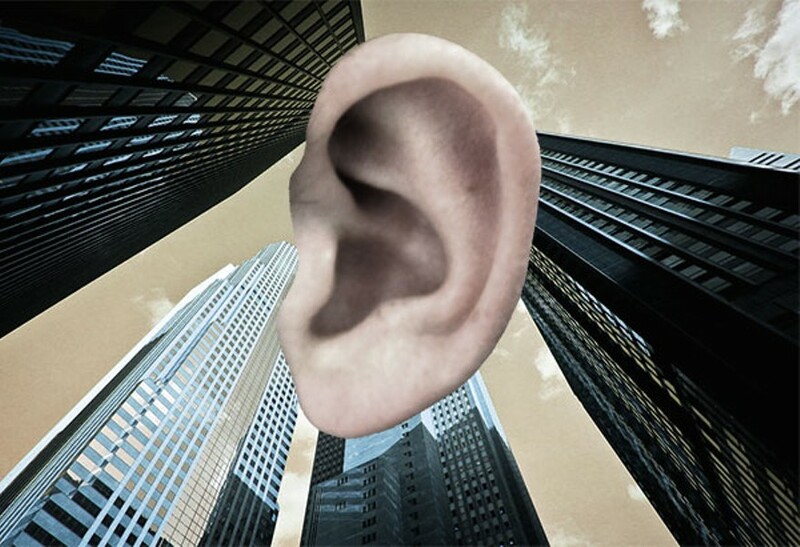 The prospect of increased eavesdropping without a warrant is serious enough that the ACLU, which initially helped craft the legislation, now opposes the new law. It's "too great an expansion of police power," says ACLU spokesman Edwin C. Yohnka. As for conversations between ordinary citizens, the new law makes it illegal to surreptitiously record any communication when one or more parties has a "reasonable expectation" of privacy. What's a "reasonable" expectation? "Any expectation recognized by law." If you don't know what that might cover (and who but a legal expert would? ), you're back to requiring express permission before you hit record if you want to be safe from potential prosecution. And what about the situation that got Chris Drew in trouble? In the era of Ferguson and "I can't breathe," can Illinois citizens now record police officers in action? The ACLU says yes: the new law "respects" an appellate court ruling that cops on duty have "no reasonable expectation of privacy in their conversations in public places." You won't find that language in the law itself, however. State representative Elaine Nekritz, who sponsored the bill in the house, says that's no accident. We made a decision "not to specifically state that citizens can record cops," Nekritz says. "I thought if we tried to describe every instance in which you either were or were not committing eavesdropping, we would run into more trouble than we've created by having this more general standard. We just can't write every circumstance in which someone has a reasonable expectation of privacy." Like the definition of guilt beyond a reasonable doubt, she says, "we know it when we see it." But that isn't the only hazy area. The new law also covers electronic communications. Forward an e-mail without permission and it might be that you're in violation of it. "This was a point of some contention on the bill, and it was a compromise we made to get it passed," Nekritz says. "We'll see how the state's attorneys and courts interpret it." The new law's provision expanding warrantless surveillance was the result of another compromise. That provision sunsets in three years, and until then, state's attorneys have to keep a record of each use. "We'll have an opportunity then," Nekritz says, "to see whether it's been used or abused." Bechtol's documentary, Free Speech and the Transcendent Journey of Chris Drew, screens Saturday at Revolution Books, 1103 N. Ashland. Drew's pro bono civil rights lawyer Mark Weinberg will be there along with Bechtol for a postfilm discussion.